Below are speakers who will be participating in the conference. Please note that we will be adding to the listing as speakers are identified and confirmed. In his role at the Department for Transport Phil provides a challenge function to the department on the use of science and engineering evidence in policy-making and also ensures the department is well-informed on new innovations and technologies that may impact on the delivery of transport schemes. He builds, supports and champions the science and engineering community within the department and associated agencies. Through the Chief Scientific Adviser network he ensures that there is significant cross-government cooperation on science, engineering and technology issues. 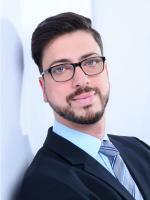 Sergio Barbarino is a Research Fellow of Procter & Gamble Research & Development organization and Chairman of ALICE, the EU Innovation Platform for Logistic aimed at realizing the Physical Internet. 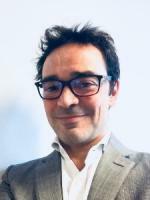 Born in Naples, Italy, Sergio has a master degree in Chemical Engineering from the University of Napoli Federico II and an MBA from the Solvay Business School in Brussels and is a Fellow Member of the Royal Society of Chemistry. In 2007, Sergio created the first group of Logistic R&D within Procter & Gamble, called Supply Network Innovation Center, of which he is the Scientific coordinator. 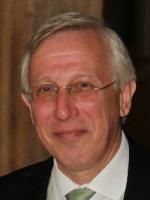 He has been leading the logistic chapter in the informal Industrial Advisory Board of the European Green Car Initiative and EIRAC, the Intermodal Advisory Council, now folded into ALICE (see above) of which Sergio is today the Chairman and for which he has been leading the Collaboration and Coordination Workgroup since the inception. Sergio has been the scientific leader of 2 EU FP7 projects: the C03 consortium aiming at increasing shipper collaboration on Logistics in Europe and Modulushca, aimed at the development of new shareable and reusable logistic standard modules for the last mile delivery. Sergio has developed the manufacturing Processes of many well known P&G Brands (e.g. Mr. Clean, Antikal,) and has been the chief designer for P&G of Innovative Liquid Manufacturing systems for developing markets. He is responsible for the P&G Academic network in Supply Chain and Logistics and has been Visiting professor - among others at the Ecole des Mines de Paris, the City University of London, Laval University Quebec, Solvay Brussels School, ZLC Zaragoza. Sergio is an active rower and has been Social Director at the Royal Sport Nautique de Bruxelles in 2011-2015. Sergio has also a long history of LBGT rights activism: he has been a founding member of DIGAYPROJECT in Rome in 2000, of the BBA in Belgium in 2003 and the GABLE Group at Procter & Gamble in Brussels in 2014. Dr. Montreuil is leading the International Physical Internet Initiative, engaging academic, government leaders worldwide into research and innovation projects on smart, hyperconnected and sustainable logistics, supply chains, transportation, businesses and regions. His main research interests generically lie in developing concepts, methodologies and technologies for creating, optimizing, transforming and enabling businesses, supply chains and value creation networks to thrive in a fast evolving hyperconnected world. 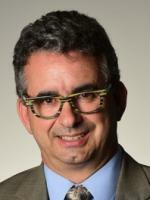 From 2000 to 2014, Dr. Montreuil has held the Canada Research Chair in Business Engineering. He is a founding member of the CIRRELT Interuniversity Research Centre on Enterprise Networks, Logistics and Transportation. He is also past president of the College-Industry Council on Material Handling Education and its Liaison to the Board of Governors of MHI, the North American industry association of material handling, logistics and supply chain solutions and technology providers. Dr. Montreuil graduated in 1978 from the Université du Québec à Trois-Rivières (UQTR). He earned a master’s and a Ph.D. in Industrial Engineering from Georgia Tech in 1980 and 1982 respectively. After serving on the industrial engineering faculty of UQTR and Purdue University, from 1988 to 2014, he was a Professor of operations and decisions systems in the faculty of Business Administration at Université Laval in Quebec City, Canada. 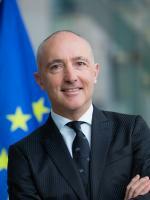 Jean-François AGUINAGA is Head of Unit at the European Commission. He was trained in leading business schools (INSEAD; Ecole Supérieure de Commerce de Paris). His PhD in roman languages and civilisations was received from the University of Paris, as well as his grade in public administration. He joined the European Commission in September 1994, within a team in charge of economic co-operation with Latin America. In 2002, he joined the Directorate General Enterprise and Industry (now DG GROW) as sherpa to elaborate and develop the financial instruments for SMEs (2007-2013), in liaison with the European Investment Fund (EIB Group). 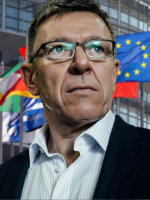 Between 2006 and 2010, he was first responsible for the EIC network, then for the phasing-in of the Enterprise Europe Network, the biggest network of business and innovation services ever set-up with the support of the European Commission. Between 2011 and 2015, he managed the Unit dealing with “textiles, fashion, design and creative industries” dealing with internal market and industrial policy topics. In 2015 and 2016, he led the Unit in charge of European standardisation for growth. Since January 2017, he has managed in DG RTD the Unit in charge of surface transports policy, which merged in 2019 with urban systems. Mr Carlo Borghini is responsible for the overall management of the Shift2Rail Joint Undertaking activities since he took up the position of Executive Director in February 2016. Prior to this posting, Mr Borghini held different senior management positions in different domains in private and international organization, at corporate level. 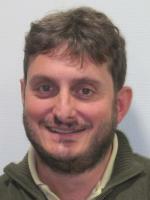 Mr Borghini holds a Master Degree equivalent in Business Economics and speaks Italian, French and English. He is married with three children. Robert Hardy is a former Freight Director of P&O Ferries, former Commercial Director of EurotunnelPlus and until 2017 ran the ITSF Customs freight terminal at the Port of Dover. With over 35 years of experience in Customs freight processes and qualifications from BIFA and the World Customs Organisation, Robert has been in high demand since the referendum result in 2016. A registered international trade expert with the EU Commission, Robert is now advising some of the largest brands to prepare them for NO DEAL Brexit. He also works with a number of industry bodies, advisory panels and ports. Robert is the Operations Director of Oakland Invicta Limited, a company specialising in maintaining supply chain integrity which, other than Brexit planning, includes reducing food waste and cargo contamination caused by stowaway incursion. The services offered by Oakland are approved by Environmental Health and are considered industry leading. Details of these additional services can be found at : www.contaminatedload.com. Oakland Invicta is working closely with the Food Standards Agency and Border Force to reduce the threat caused by migrant activity concerning inbound loads. Oakland Invicta Limited is registered with Border Force under the Civil Penalty Accreditation Scheme. François-Régis Le Tourneau is of French and German nationality and speaks multiple languages. He has a strong track record in executive positions in Controlling & Finance as well as Supply Chain Management. 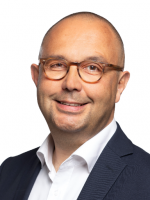 During the last 25 years at L’Oréal, François-Régis has managed organizational and transformational projects on selective and consumer channels with impacts on large teams. He is a team leader with a strong focus on identification and development of individuals skilled to collaborate. His role is always to anticipate, innovate and obtain results in complex organizations. He is now in charge of setting and digitalizing the referential and standards for the company. He runs subsidiary compliance assessment along the supply chain and benchmarks organizations’ performance. François-Régis develops prospective watch of trends and innovation in Supply Chain on a global scale. He also defines training programs and vision for the Supply Chain community. The management of Supply Chain transformation and its exposure to the outside world is one of his passions along with the external representation at leading professional organizations. As such he is member of the board of ASLOG (the French Supply Chain Association), BVL (the German Logistic Association) and ALICE (Alliance for Logistic Innovation & Cooperation in Europe). Last but not least, he defines, deploys and animates the Corporate Social Responsibility Program for Supply Chain, embedded in the Sharing Beauty With All Coporate Program of L’Oréal. He completed his univesity studies in mechanical engineering at the Technical University of Munich. He was a scholarship holder of Hanns-Seidel-Foundation. After this, while being a research assistant at the "Institute of Internal Combusion Engines and Vehicles", he completed his doctorate by obtaining the title of Dr.-Ing. Stephan started with BMW in the diesel engine development department in Steyr (Austria). In 1998, he returned to Munich in different functions in the development of BMW Gasoline Engines. Graduated from Ecole Normale Supérieure de Cachan, 1988-1993, Agrégation 1991, Master from Panthéon-Sorbonne university 1993, Phd from Ecole Normale Supérieure de Cachan (Mechanical Engineering) 1995 and Habilitation à Diriger des Recherche Institut Polytechnique Grenoble 2009. Research areas: Simulation and optimization of industrial and logistic operations, Models for sustainable supply chain and logistic, Physical Internet, Theory and models for utility, choice and inventory management in supply networks. "My research, done in collaboration with the industry and supply chains, is based on the analysis and development of mathematical optimization and simulation models to design and improve actual and future supply chains. Thanks to the new possibility in optimization and data availability, operations research techniques are now applied to large-scale systems such as a food supply chains at country level. However as a member of the center for management my research also pays a great attention to organization, management aspects and consumer behavior. Recent work is focused on the development of the Physical Internet as a leading member in France of the international Physical Internet Initiative." Dr David Cipres holds a Phd in Industrial Engineer (University of Zaragoza). 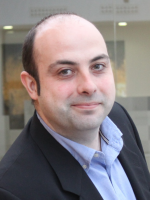 He works in Instituto Tecnologico de Aragon (ITAINNOVA) where He is now the responsible for the research line of IoT (Internet of things) and Data Analytics for logistics and production processes. His main research areas are simulation, modeling and optimization of logistics processes, supply chain management, warehouse operation management and demand forecasting. David has participated in many R&D national and European logistics projects along his career since year 2000 in automotive, transport, distribution and retail companies like: Opel, TRW, Group Carrefour, BSH or Saica. Additionally He has participated in different national projects (ITchain, Rafuware) and European projects (Loginn, WiderMoS, TransformingTransport and ICONET) related with innovation in logistics and supply chain. Steffen Kaup, born April 10, 1975, is the Head of Transport and Logistics Future Research in Daimler's Corporate Research unit. After studying electrical engineering at the Cooperative State University in Stuttgart and computer science at Brunel University in London, Steffen Kaup began his engineering career in competitive analysis at what was then Daimler-Benz AG. After five years he was promoted to Head of Technical Data in Daimler's Truck Development department where he was responsible for weight management and hill-climbing calculations, and the linking of all technical data on the Mercedes-Benz bodybuilder portal. During this time he was also head of a project working on standardizing type testing processes for commercial vehicles in Europe. 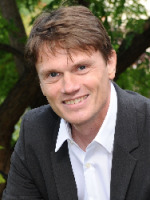 In 2011 Steffen Kaup transferred to the Car Electromobility Corporate Strategy department, where he was responsible for the overall design of the electromobility environment. This involved establishing the infrastructure and the charging capabilities for this technology, as well as designing the Mercedes-Benz Electric Vehicle Architecture. Since June 1, 2015 Mr. Kaup has been the head of an international research team exploring new approaches to sustainable transport and efficient logistics for the future. Andrew is a specialist in sustainable logistics network design and quantitative modelling techniques, and is the original author of the CAST network design software, now owned by Llamasoft. For over 30 years he has undertaken projects for many companies from different sectors and countries, plus governmental departments, the European Commission and the OECD. His work focuses on the sustainability of freight transport and the methods required to improve vehicle capacity utilisation and reduce empty running. He is currently working on various collaboration and sustainability related projects for the Centre for Sustainable Road Freight, a joint venture between Heriot Watt and Cambridge Universities; a European Commission sponsored project called LOGISTAR which is developing a real time freight transport collaboration system; and a DfT/Innovate UK project looking at the feasibility of a new type of short fast frequent freight train. 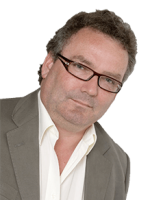 He has published many articles and is a regular speaker at logistics planning and sustainability conferences. His work in home deliveries and sustainable logistics received media coverage with television interviews and articles in national newspapers. Guido Sacchetto is working as a Policy Officer in the Surface Transport Unit of the Directorate-General for Research and Innovation. 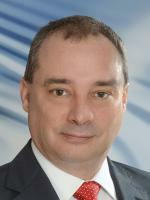 He joined the "Innovative Automotive Systems" Area of the Unit in 2015, and contributes to the orientation and to the development of the Directorate General’s priorities concerning automotive, with a specific focus on the European Green Vehicles initiative (EGVI), Commercial vehicles, Logistics and emission, with a focus on the 'Innovation Principle'. He graduated in Political Sciences, with post-degree studies in international Affairs, Innovation and Technology Transfer, and business incubation. As a professional, but also as an academic, Alex’s key experience is in Supply Chain Management and Logistics. He was former partner and practice leader SCM of KPMG, a worldwide leading consultancy company. Within SCM, he has gained exceptional experience in the setup of supply chain strategies and the conception and implementation of decision support systems. Subsequently in his job as independent advisor, he was hired by major companies to supervise and to provide expert guidance for their Supply Chain strategy and logistic optimization projects, most often at the board room level. 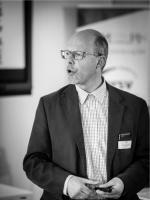 He has been responsible for the startup of the Vlaams Instituut voor de Logistiek (Flanders Institute for Logistics). Between 2003 and 2008 he was the managing director of that institute. Alex is also the inventor of the Extended Gateway® concept. It’s a innovative and powerful concept for regions with natural advantages for European distribution. The idea and the challenge behind the concept is the creation of additional logistics prime locations (i.e. minimal total cost locations) for added value logistics along the vertices of the integrated multimodal hinterland network. All provinces in Flanders are currently applying this concept for the identification of their logistics hotspots. As entrepreneur, Alex has founded and is currently leading the disruptive innovation TRI-VIZOR, the World’s First Cross Supply Chain Orchestrator. In 2014, he was awarded the price of Logistics and Supply Chain Professional of the year by the European Logistics Association (www.elalog.eu). 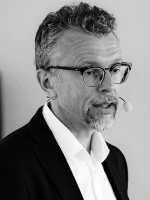 Bart Vannieuwenhuyse is a widely recognized supply chain expert and professional. Frequent speaker at various conferences, colloquia and a lecturer at several Belgian universities, high schools and knowledge institutes.